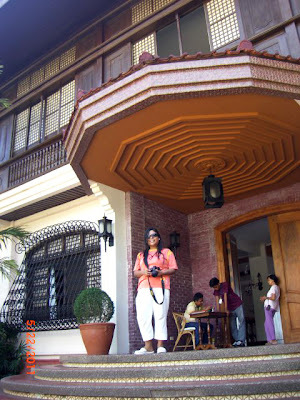 This is the residence of former president Ferdinand E. Marcos located in Paoay, Ilocos Norte. 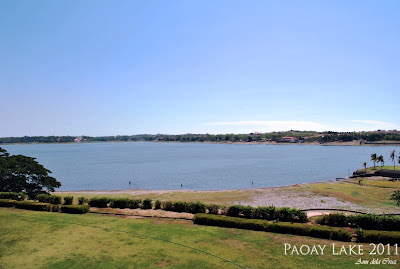 Another tourist spot of Paoay that should be visited. 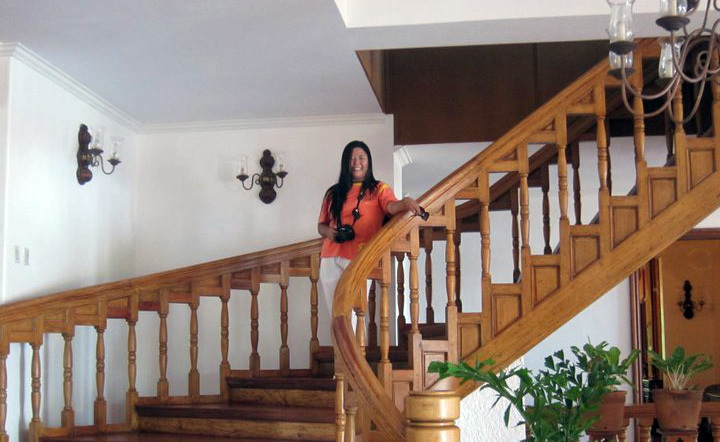 The house is an old rich Spanish structure and I must say that it is very well maintained for an entrance fee of 40 pesos only. 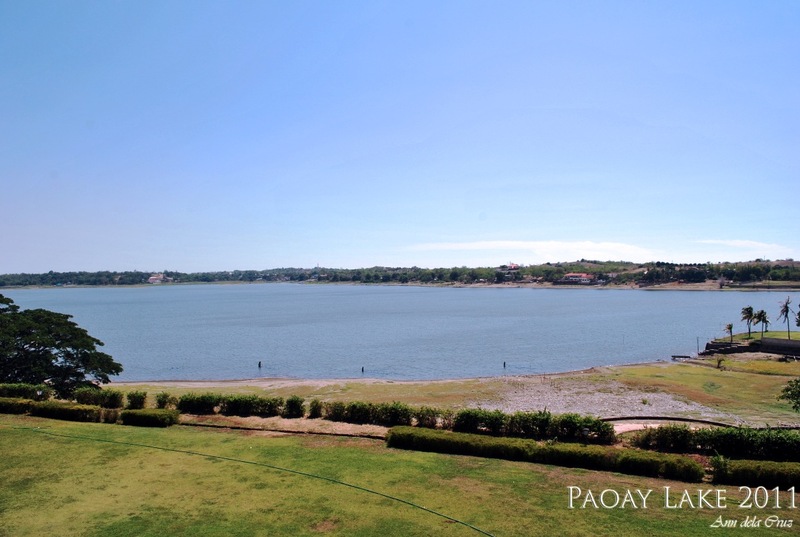 The Marcoses was said to entertain their guests to parties and also play golf and waterskies just outside, where there's a great view of the Paoay Lake. 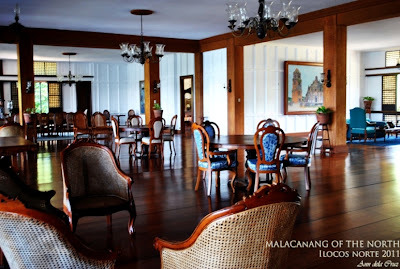 It makes you want to go back in time........knowing how the family lived extravagantly......you would want to dance on the floor, pretend to be having a conversation with the most important people in the society or dining with the former president and the first family. When the late president was ousted, they have turned the place to a museum. It just makes me wonder how they are able to maintain it so well. 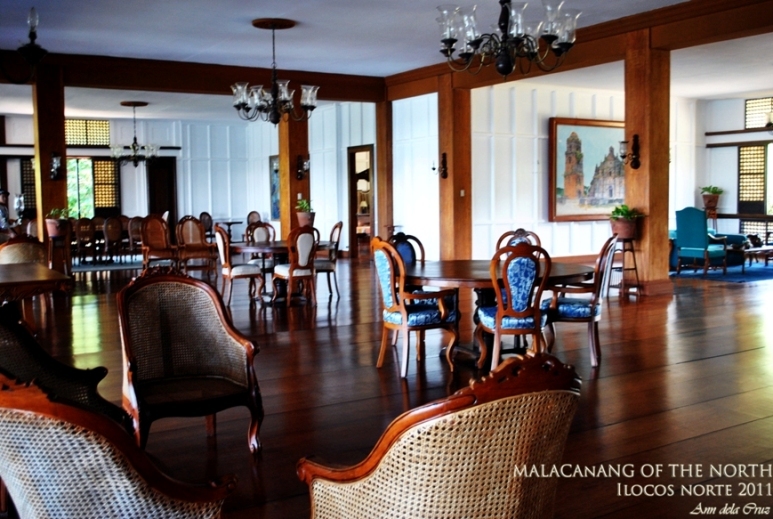 The furnitures are still in good condition and it is very clean. Below, you'll see photos I took but did not post everything so you can see it for yourself when you visit it. 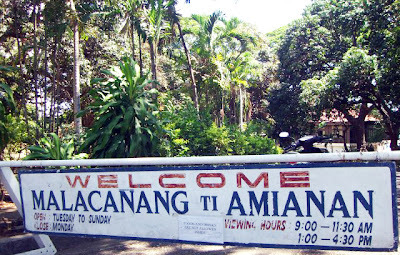 Also known as "Malacanang Ti Amianan"
For only PhP40 as entrance fee; Bags are not allowed inside. 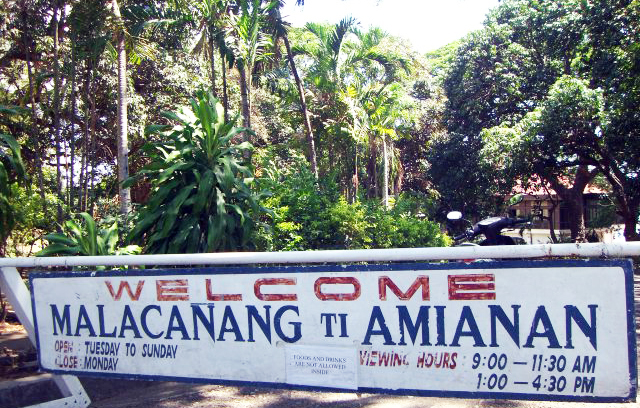 Look-alike? One of the security people of the house. 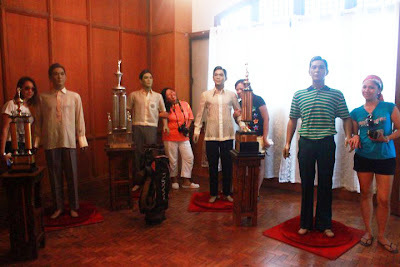 He does look like a young Ferdinand Marcos.